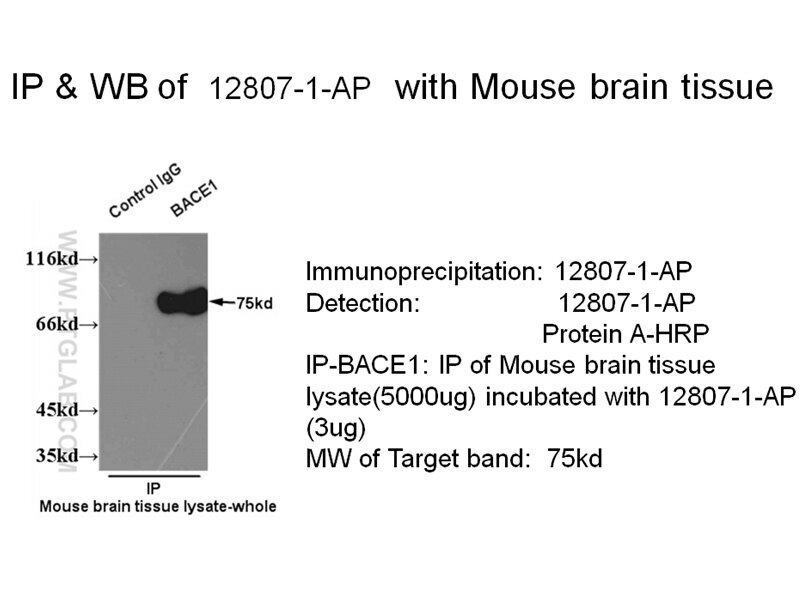 IP Result of anti-BACE1 (IP:12807-1-AP, 3ug; Detection:12807-1-AP 1:500) with mouse brain tissue lysate 5000ug. 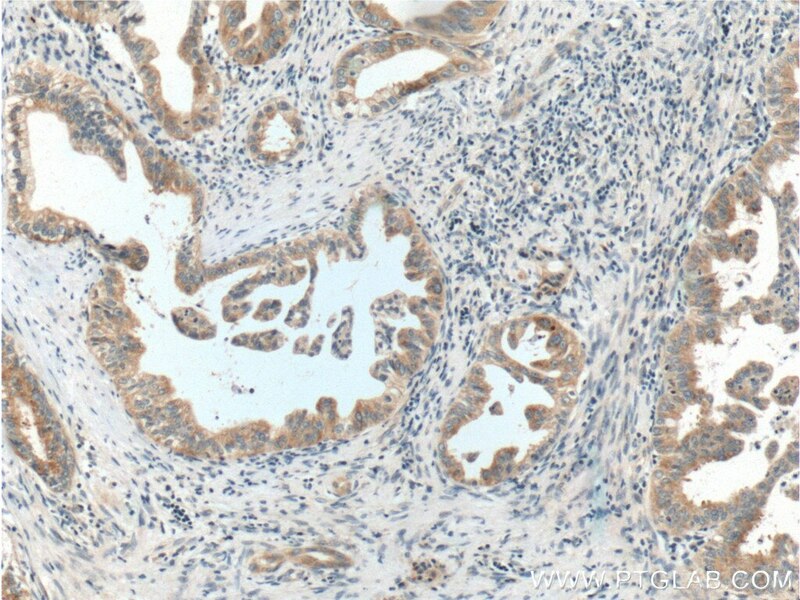 Immunohistochemical analysis of paraffin-embedded mouse brain tissue slide using 12807-1-AP( BACE1 Antibody) at dilution of 1:200 (under 10x lens). heat mediated antigen retrieved with Tris-EDTA buffer(pH9). 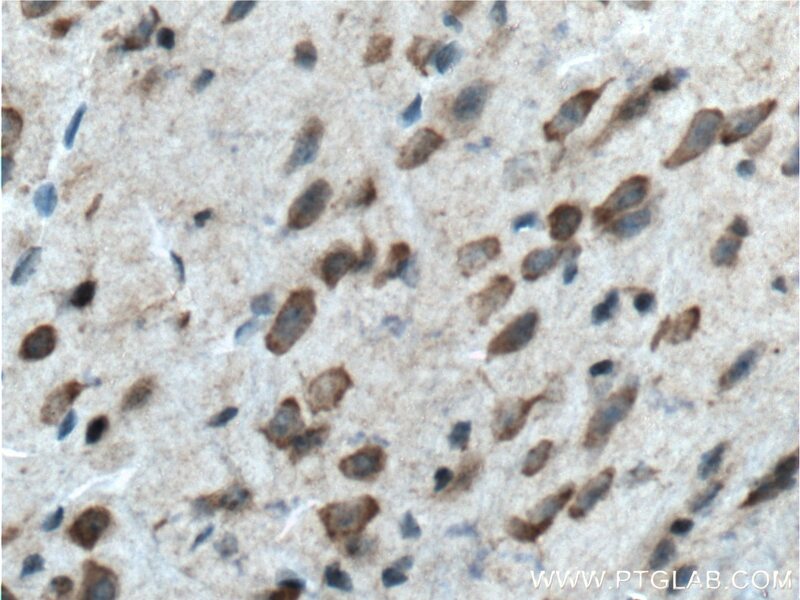 Immunohistochemical analysis of paraffin-embedded mouse brain tissue slide using 12807-1-AP( BACE1 Antibody) at dilution of 1:200 (under 40x lens). heat mediated antigen retrieved with Tris-EDTA buffer(pH9). beta-secretase, encoded by BACE1(beta-stie amyloid beta A4 precursor protein-cleavage enzyem1) gene, is a neuron-specific membrane-associated protease that participate in the two step proteolytic processing of the APP. Cleaves at the N-terminus of the A-beta peptide sequence, between residues 671 and 672 of APP, leads to the generation and extracellular release of beta-cleaved soluble APP, and a corresponding cell-associated C-terminal fragment which is later released by gamma-secretase. 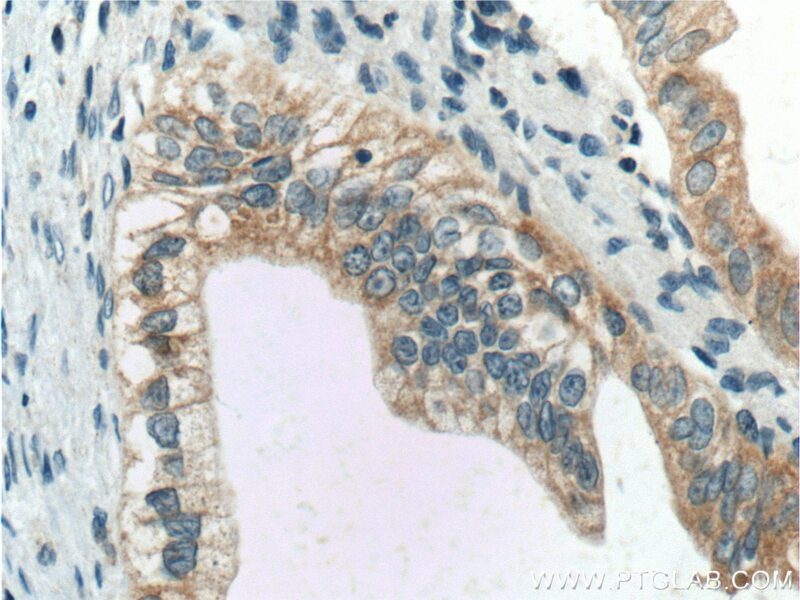 It has a high expression in the brain and pancreas. This protein has 6 isoforms produced by alternative splicing. 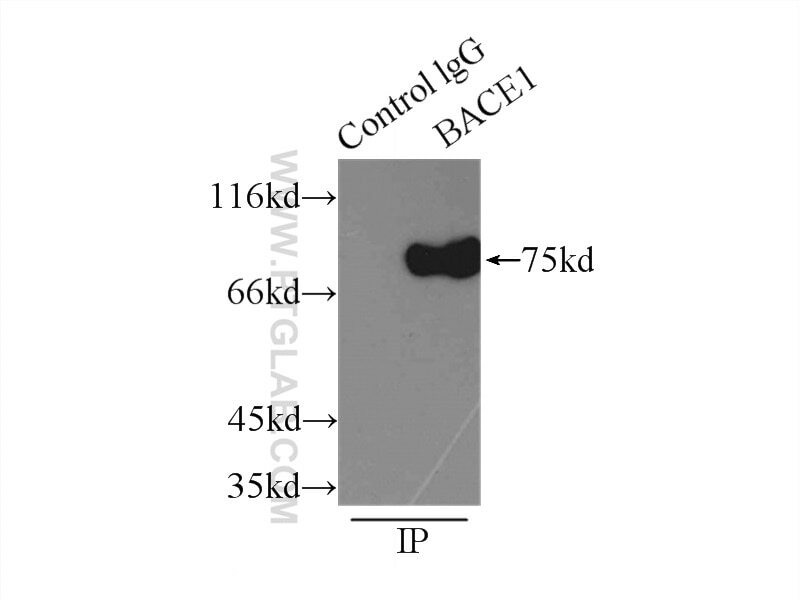 BACE1 can be detected with different molecular weight: 42-56kD (prozymogen and isoforms), 65-75 (glycosylated forms) and 160kDa (dimer) (PMID:22741101; 21795680). Ceruloplasmin, a Potential Therapeutic Agent for Alzheimer's Disease. CIP2A Causes Tau/APP Phosphorylation, Synaptopathy, and Memory Deficits in Alzheimer's Disease. Ginsenoside Compound K Regulates Amyloid β via the Nrf2/Keap1 Signaling Pathway in Mice with Scopolamine Hydrobromide-Induced Memory Impairments. 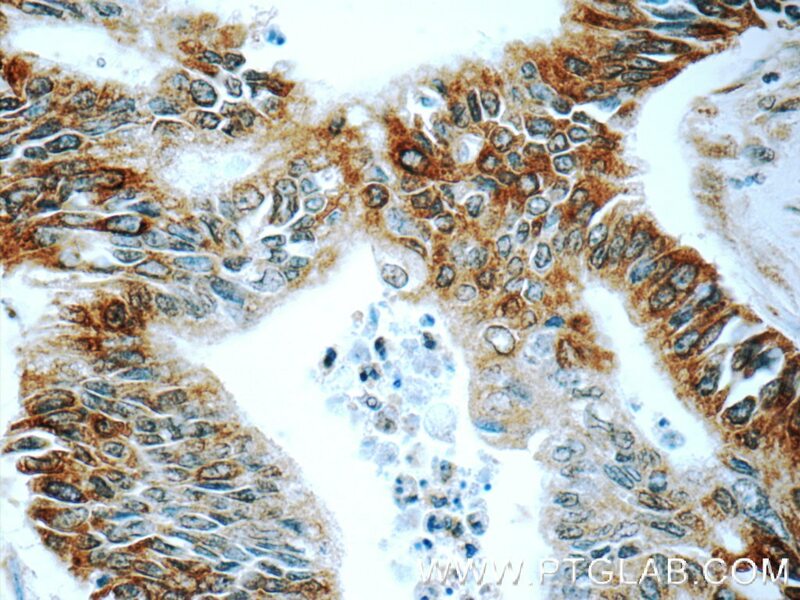 Immunohistochemical analysis of paraffin-embedded human pancreas cancer tissue slide using 12807-1-AP( BACE1 Antibody) at dilution of 1:200 (under 10x lens). heat mediated antigen retrieved with Tris-EDTA buffer(pH9). 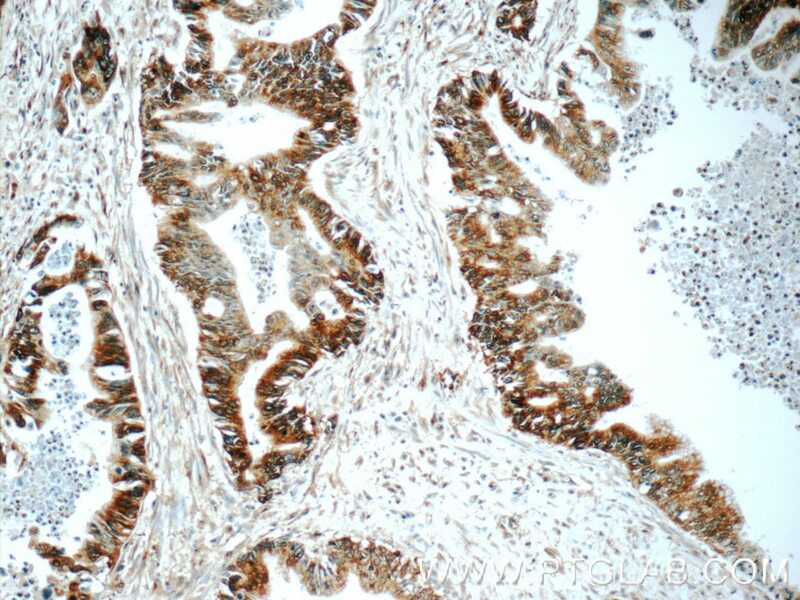 Immunohistochemical analysis of paraffin-embedded human pancreas cancer tissue slide using 12807-1-AP( BACE1 Antibody) at dilution of 1:200 (under 40x lens). heat mediated antigen retrieved with Tris-EDTA buffer(pH9). 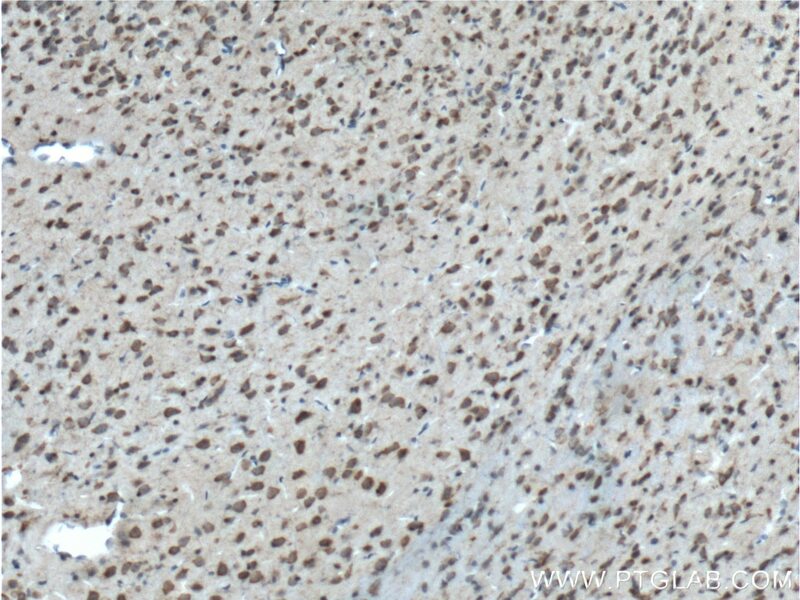 IP result of BACE1 antibody (12807-1-AP for IP and Detection) with mouse brain tissue lysate.